Transferring photos from your old BlackBerry phone to a new Android device can be a challenge experience if the transfer is not successful the very first time. In these situations, the user may have to troubleshoot the different issues that they encounter. For instance, when the transfer of the pictures is being made, the transfer may be deemed incomplete for several reasons. To finish the photos transfer effortlessly and successfully, you should ask help from a third-party tool. Coolmuster Mobile Transfer is what I want to recommend here. 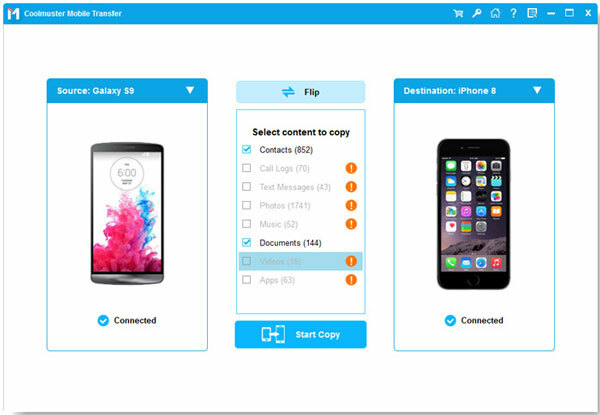 It is a professional and easy-to-use phone to phone data transferring tool to help all Android, iOS and Symbian devices users to transfer not only photos and pictures, but also videos, music, contacts, text messages and apps between BlackBerry and Android devices, such as Samsung, HTC, LG, Motorola, Sony, Huawei, ZTE, Google Nexus and so forth. Everything can be finished in clicks. How to Copy Photos/Pictures between BlackBerry and Android? 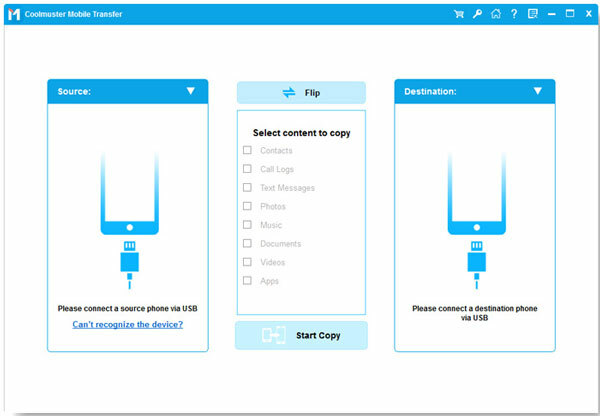 After downloaded and installed the Mobile Transfer on the computer, launch it and then get your BlackBerry and Android devices connected to the computer via the USB cords. Choose the Phone to Phone Transfer mode and hit the Start option to enter the phone to phone transferring window. The two connected devices, as well as all file folders are arranged on the panel for your selection. Choose "Photos" category and select all the pictures you want. Then, you can then hit the right or left direction arrow to transfer those selected photos between BlackBerry and Android.